Get in touch with nature at Pyha-Luosto National Park and Syvasenvaara Fell. Step off the beaten path and head to Feel Vegas - Club Rovaniemi and Rovaniemi Church. Take a break from Rovaniemi with a short trip to Ski Resort Ritavalkea in Pello, about 1h 30 min away. There's lots more to do: get in on the family fun at Santa Claus Village, enjoy some diversion at Snowman World Igloo Hotel, snap pictures at Lumberjack's Candle Bridge, and hike along Feelapland. 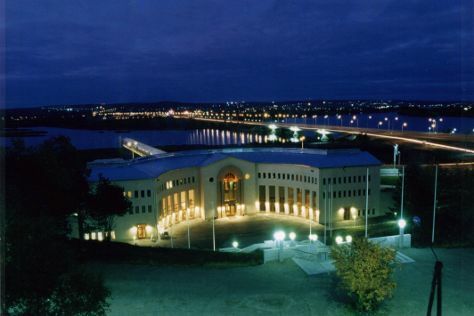 To see more things to do, where to stay, reviews, and more tourist information, read Rovaniemi vacation planner . Expect a daytime high around -6°C in December, and nighttime lows around -13°C. Finish your sightseeing early on the 31st (Mon) to allow enough time to travel back home.